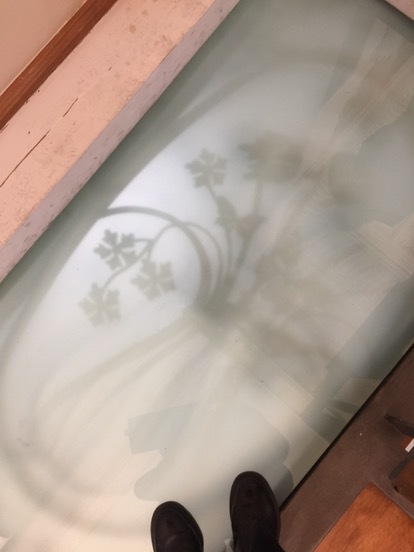 Sometimes you have treasures around you , you could never thought about & you discover them just because you are a curious person! 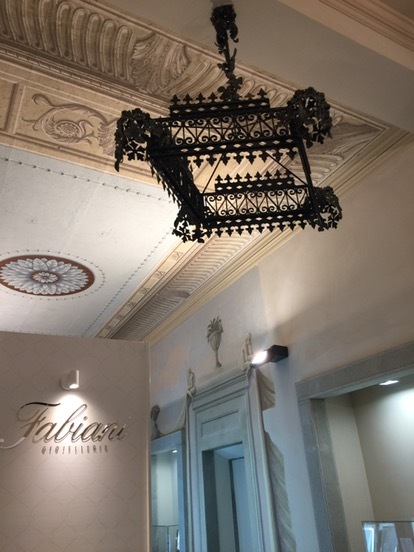 That’s exactly what happened to me some days ago : I went – for the first time – into a Fabiani jewelry in my birth town , Pistoia, and while I was looking around I saw a beautiful ceiling on a second floor .It was my first time in this shop I told you , but not in this building that was a lovely boutique when I was a teenager & where I had been many many times in the past but NEVER seen the wood stairs leading to the first floor. 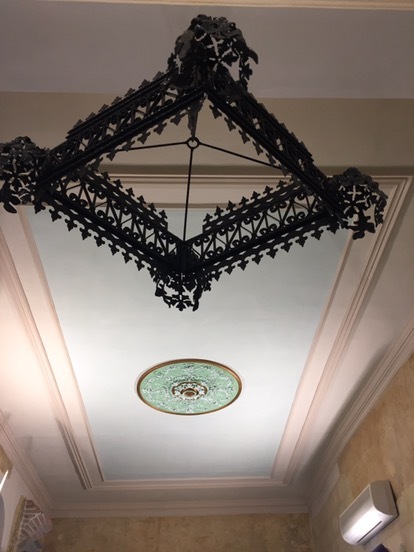 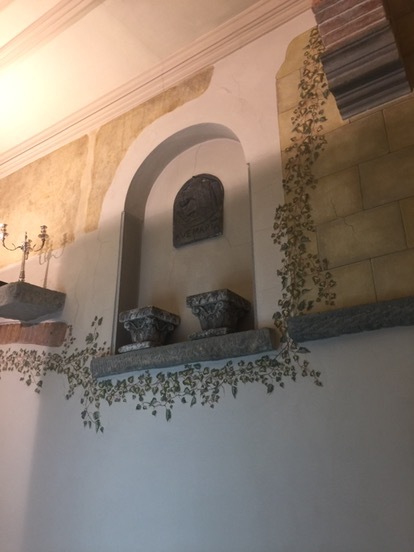 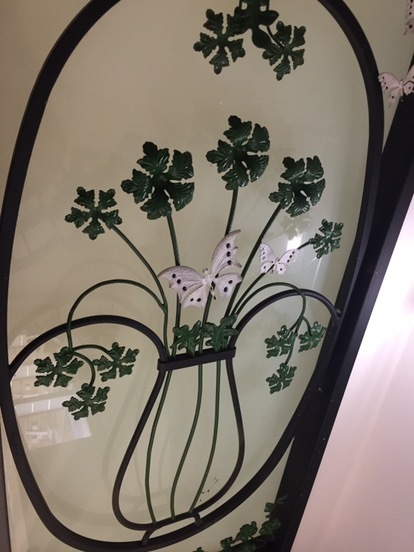 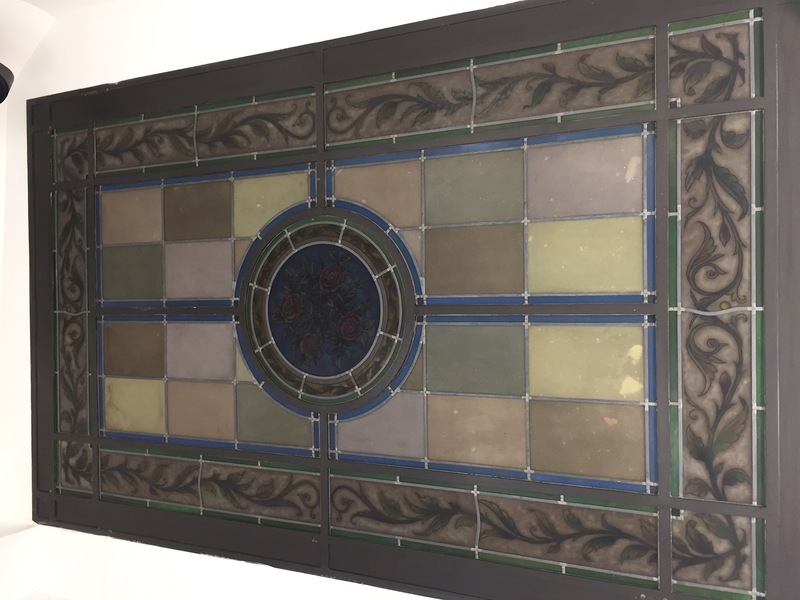 So, I asked to the kind employee , Ylenia, what about upstairs & she showed me this art nouveau style location with lovely frescoes on the walls & ceiling I could have never imagined in such a place! 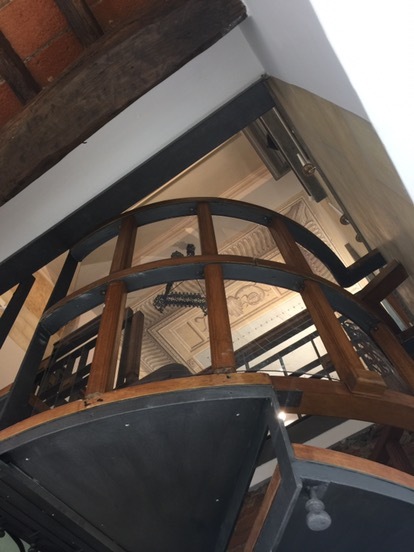 Ylenia explained that it was an elegant restaurant in Pistoia called “Etruria” that was the most glam restaurant at those times when my mother was still a child . 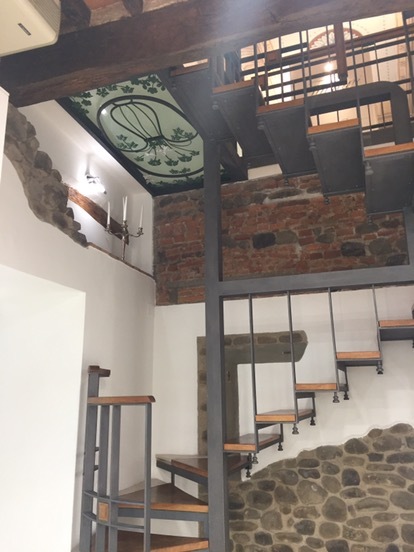 What a great surprise for me to discover this hidden gem in my birthplace & so I wanted to share it with you, taking some photos . 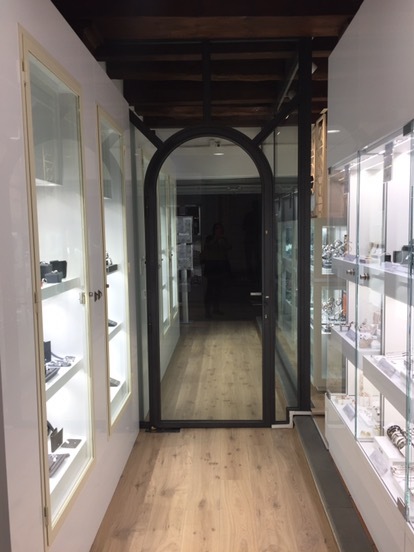 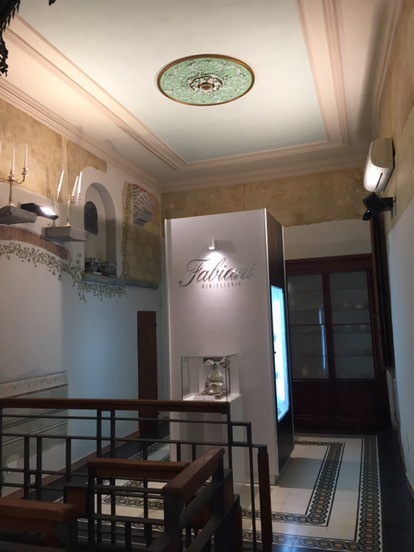 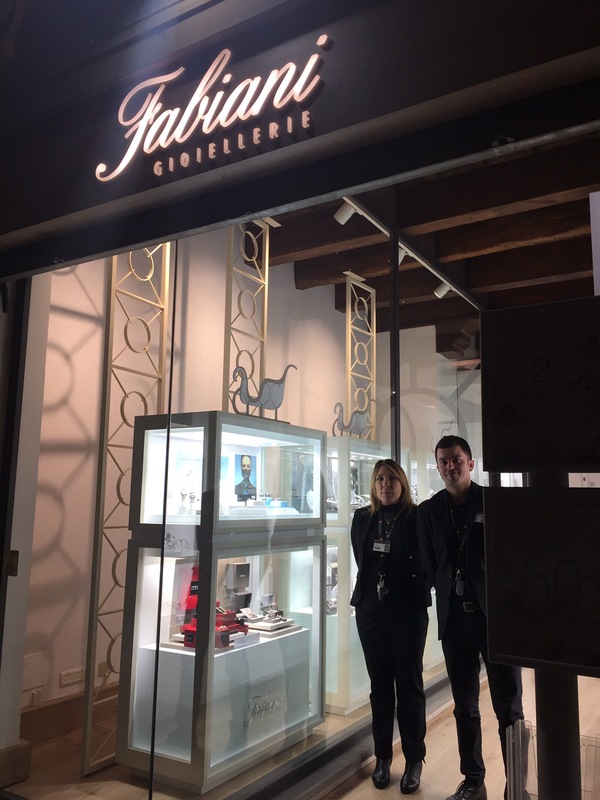 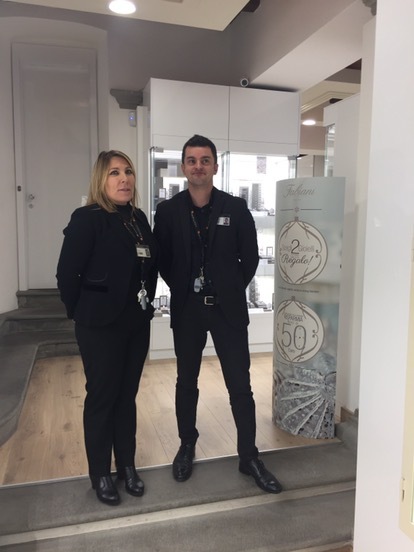 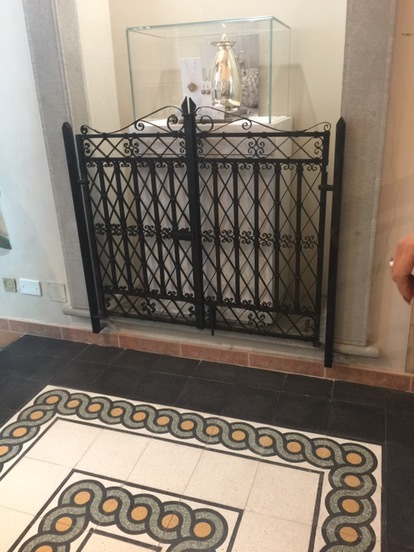 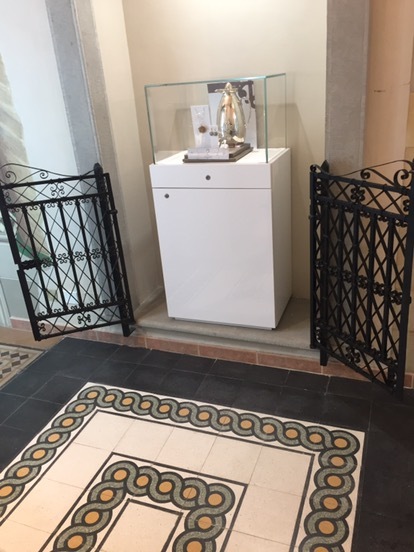 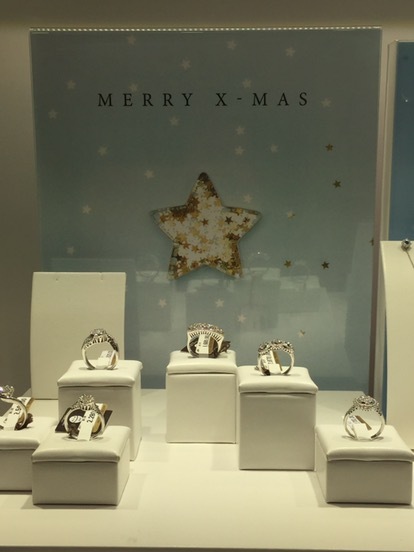 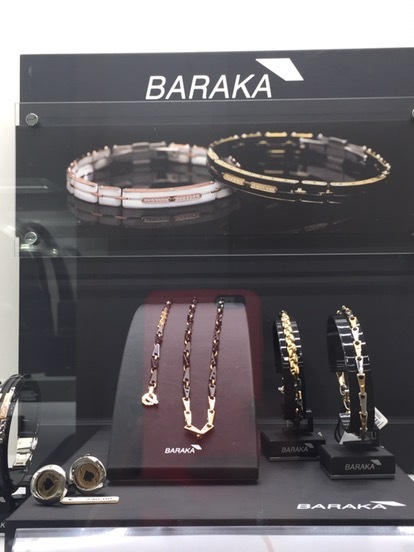 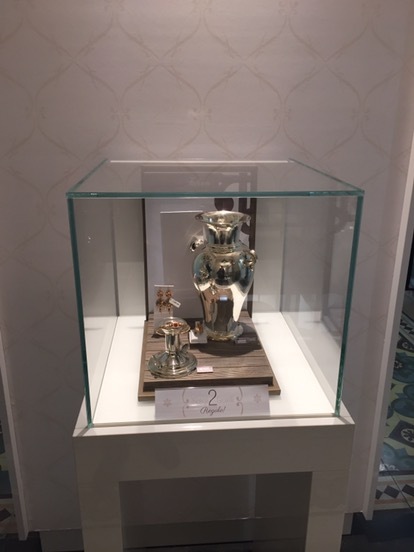 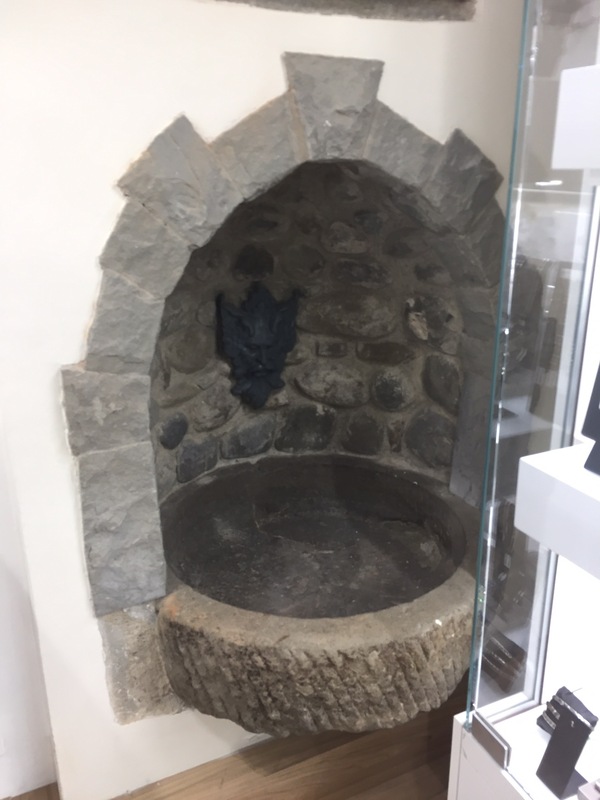 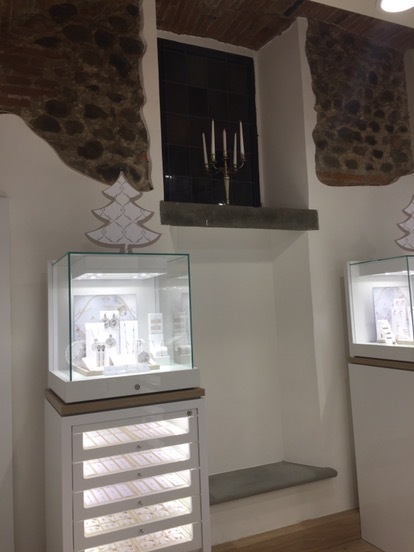 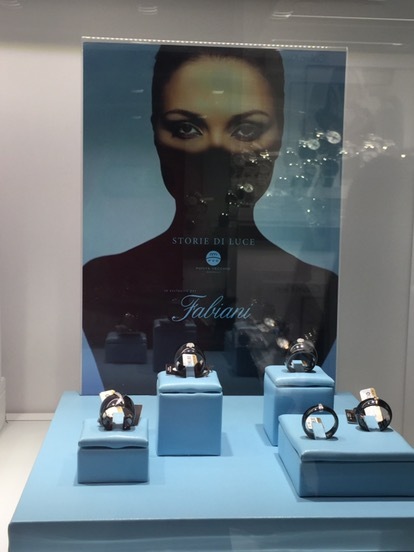 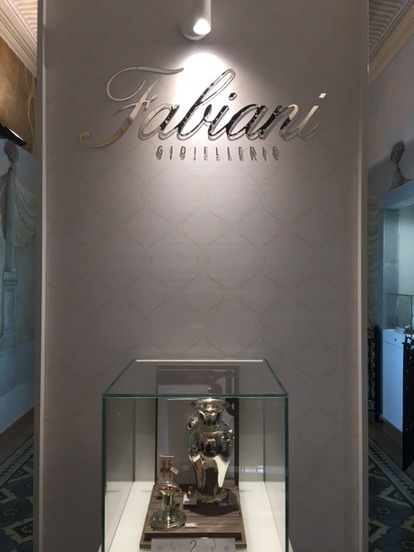 Fabiani jewelry did a great job in adding just some beautiful boxes with silver items to valorize the old precious location keeping the old iron gates and the original pavements, creating a gem inside another one. 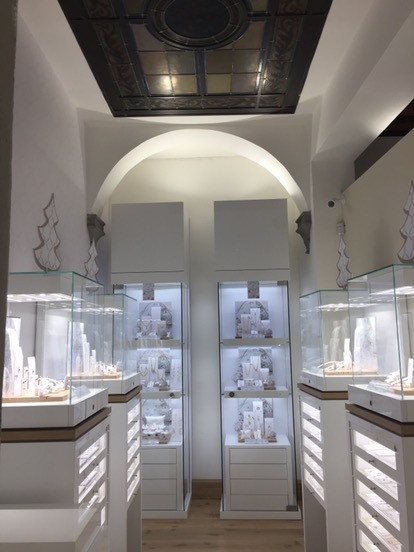 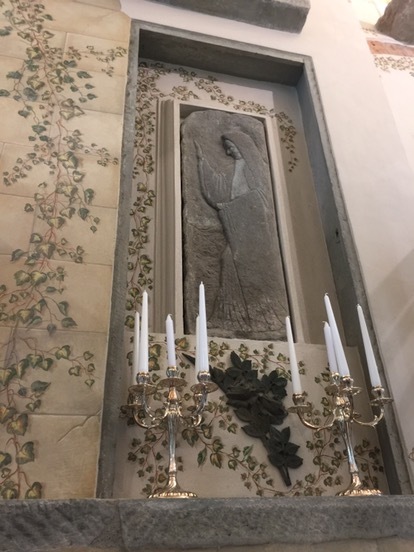 I also invited my mother to visit it the day after ( and have there some Christmas shopping too ) and in her long life as a Pistoia’s citizien of 77 years old she had never had the pleasure to see it! 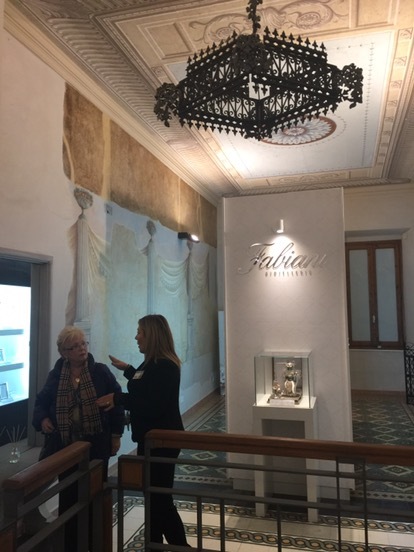 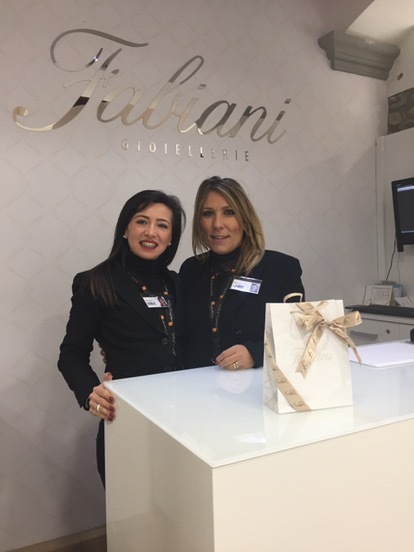 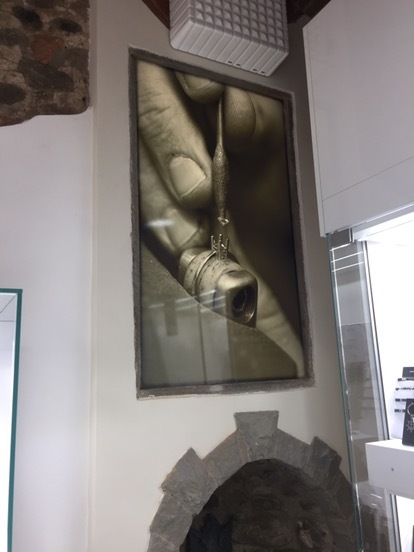 So many thanks to Fabiani to use this location with great care & sense of beauty & to its kind staff to have shown me such a great hidden treasure in my beloved Pistoia. 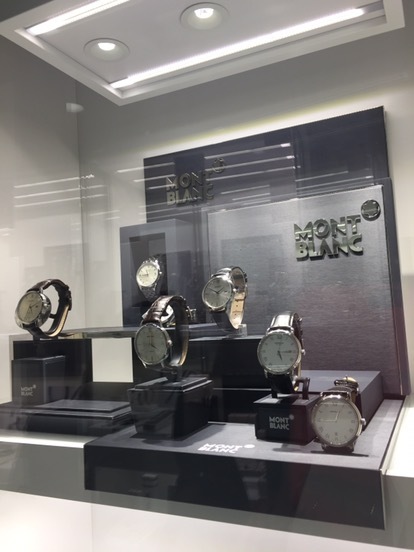 Oops, that should be “time”.